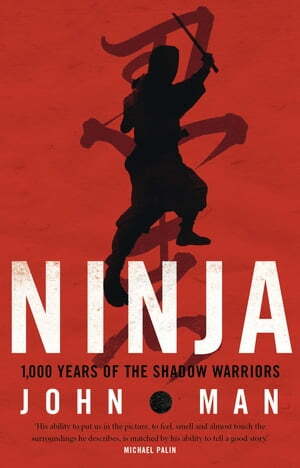 Collins Booksellers - Ninja by John Man, 9781446487662. Buy this book online. The Ninjas today are the stuff of myth and legend in comics, film and electronic games. But once they were real, the medieval equivalent of the SAS: spies, saboteurs, assassins. In their secrecy, under-cover skills and determination to survive, they were the opposite of the overt, self destructive samurai. Could they fly? Make themselves invisible? Of course not.It was just that their skills gave them a magical aura. As a result, martial artists and story-tellers have turned them into fantasy creatures, from James Bond to Mutant Turtles. In Ninja John Man goes in search of the truth. In a journey to the heartland of the ninjas, he takes us from their origins over 1,000 years ago, through their heyday in the civil wars that ended with Japan’s unification in 1600. But that was not the end of the ninja ethos. That re-emerged in World War Two as a little-known counterpart to Japanese militarism. Ninja ways live on in the real ‘last of the ninjas’, Hiroo Onoda, who held out in the Philippine jungle for 30 years.